Beauty boxes have become quite the thing and each month you are treated to a selection of treats. I also know that when the new Look Fantastic Box* comes to my front door, it dawns upon me that we are entering a new month. Let me introduce to you the March #LFBOX. 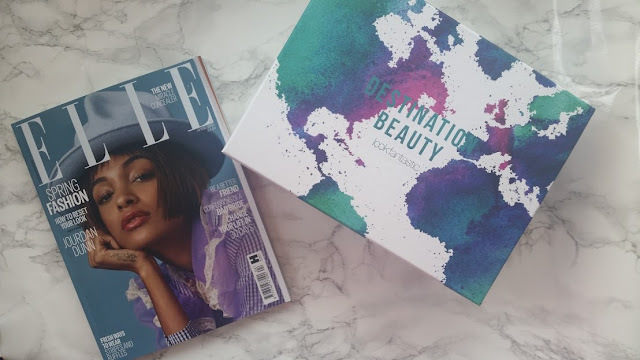 This months and last months boxes both came with an Elle Magazine, which is such a great added bonus. I loved having a read of this one with the gorgeous Jordan Dunn on the cover. Her outfit from the BRITS the other week was GORGEOUS. 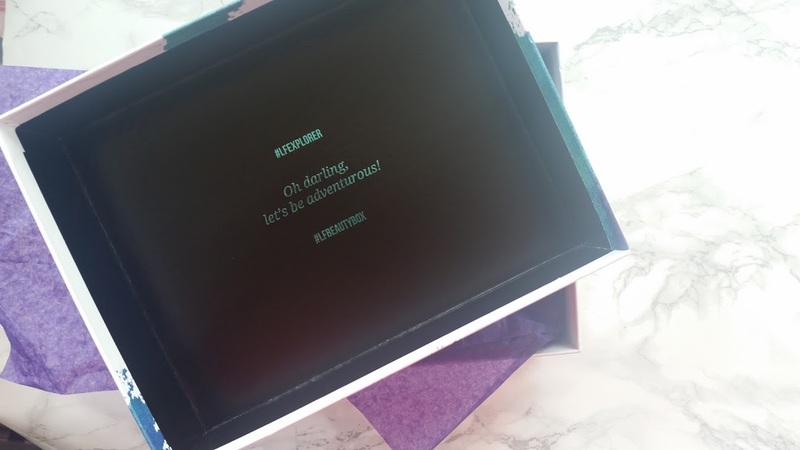 The inside of the box is also engraved with a quote to go with the theme of the month, this month the theme is all about going on an adventure and exploring brands from around the world. If I do say so myself, this box is the greatest one I have seen in a long time. As soon as I opened this box my heart died a little inside, it was full of brands that I had actually heard of and have wanted to try from. The first thing that caught my eye was the Caudalíe Micellar Cleansing Water (£15), I have so much about this brand and couldn't wait to get using this, its suitable for all skin types even the most sensitive ones. I will report back on this as soon as I use it! Then I spotted the First Aid Beauty Ultra Repair Cream (£9) and at this point I knew this was a good box. I have wanted to try this and some other bits from the brand for such a long time, and it is finally time. I have been applying this since getting it every night and my skin is super soft! Next up is something from Nuxe it's their Creme Prodigeuse Moisturiser (£21), I have been applying this in the morning before makeup because I read the ingredients. It contains Glycerin, the magical ingredient in primers. It has been working wonders, and keeping my dry skin at bay at the same time. The final skincare item is the Codage Moisturizing Mask (£42), this I have used twice now and its nothing like a ordinary mask. It applies like a cream and is invisible on the skin. 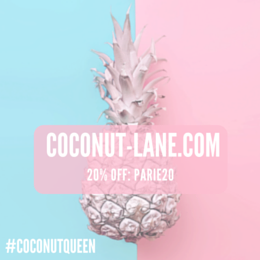 Saying this, it adds a brightening glow to the skin and makes it feel nourished. On to the beauty bits, first up is the cutest Lottie London Eye Shadow Brush (£5) it is slightly angled to allow for shaping and smudging. The colour of the brush is what caught my eye, its a gorgeous baby pink. Then the other beauty product is the Revlon Lacquer Balm in Demure (£7.99), perfect everyday colour for your lips and the way these are designed make it easy to take on the go with you. 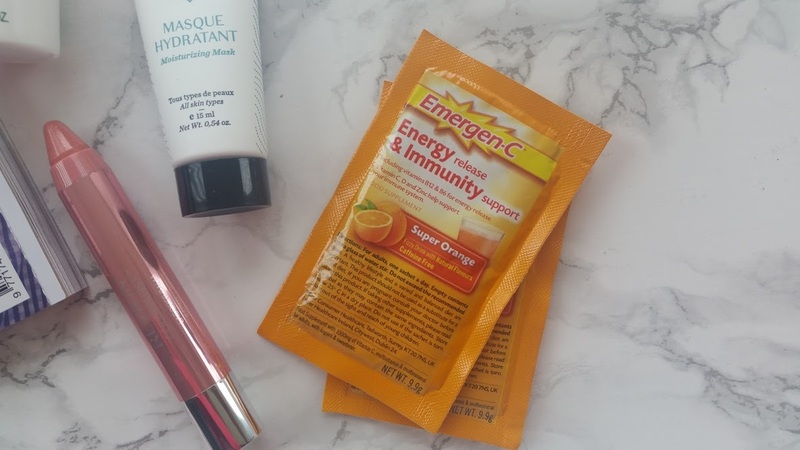 The other thing that was in the box was these Emergen-C Super Orange Support, you put the powder in water and take it as a supplement, if I need a boost in the morning this is definitely what I will be reaching for! Now can you see why I loved this box so much? I love every single product inside and have gotten use out of some, if not all of them. 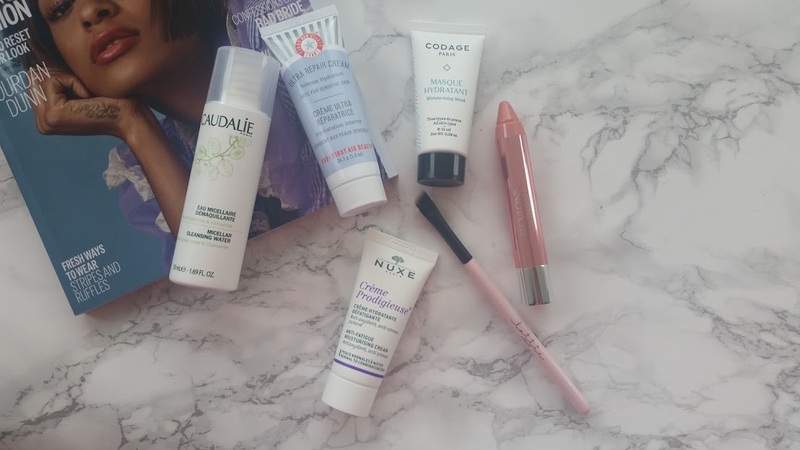 The skincare bits are by far the highlight of the whole box, anything you fancy?